Yael Harris is vice president for health research and evaluation at AIR. Drawing on 22 years of experience leading research projects to advance access, quality, payment reform, and other policies to transform health care delivery, Dr. Harris contributes to the overall leadership and advancing the role of AIR in improving healthcare. Dr. Harris’ expertise spans the health care delivery system, including inpatient, outpatient, and post-acute care; care delivery for underserved and rural populations; primary care; and behavioral health integration and use of health information technology (health IT) to advance care coordination. 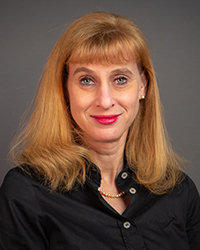 Her portfolio includes experience in quality measurement and improvement, payment reform, workforce development, patient safety, patient and family engagement, and population health. Dr. Harris joined AIR from Mathematica Policy Research, where she established and led the organization’s health information technology portfolio and directed projects related to health IT, quality measurements, and social determinants of health. Previously, she was director of the Office of Health Care Quality under the HHS Assistant Secretary for Health, where she led creation of the National Action Plan for the Prevention of Adverse Drug Events and the National Action Plan to Eliminate Healthcare-Acquired Infections. At the Health Resources and Services Administration, she established and supervised the Office of Health Information Technology and Quality. In this capacity, she received national recognition for her leadership and vision in supporting the effective use of health information technology to expand access, education, and the delivery of quality health care for vulnerable Americans. During her tenure as director of evaluation at the HHS Office of the National Coordinator for Health, Dr. Harris served as senior advisor to the National Coordinator and deputy to the Chief Scientist, overseeing creation of the National Strategic Plan for Health IT. During this time, she also established and staffed the Office of Evaluation. Dr. Harris began her federal career leading quality efforts at the Centers for Medicare and Medicaid where she led the design and deployment of quality measures for skilled nursing facilities, oversaw the creation of Nursing Home Compare, and contributed as a subject matter expert on Hospital Compare. She served as Government Task Lead on the Quality Improvement Organization Statement of Work. During this time she also launched the Advancing Excellence in Nursing Homes campaign, a public private partnership. She served as an associate professor in the School of Public Policy at the University of Maryland from 2008–2012. Her research has been published in a number of peer-reviewed journals including the Journal of the American Medical Association, the Journal of Healthcare for the Poor and Underserved, and the Joint Commission Journal on Quality and Patient Safety.